Place the potatoes on a buttered baking pan. 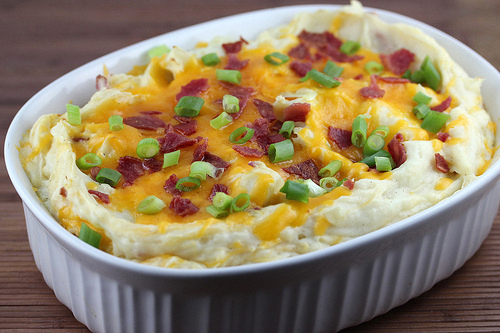 Layer bacon over the potatoes. 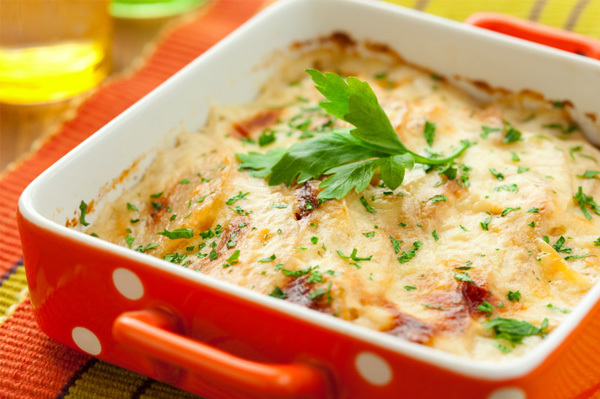 Combine mozarella cheese, cheddar cheese, and sour cream together. Spread all over the pan mixture. Top with onion and bake for 30 minutes at 375 degrees F.